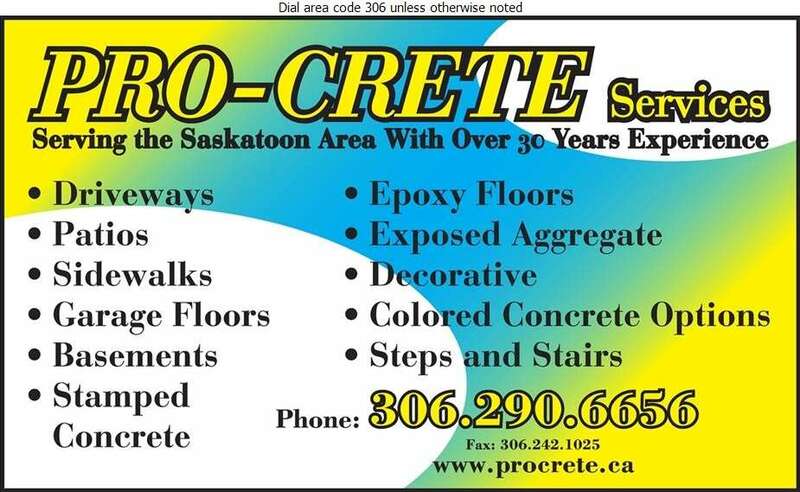 Serving the Saskatoon area, Pro-Crete Services has 30 years of experience in the concrete industry. Pro-Crete creates decorative driveways, patios, and sidewalks with a selection of stamped concrete, exposed aggregate or colored concrete options to choose from. Our professionals also pour concrete garage floors, basements, steps and stairs. Trust the professionals at Pro-Crete for all your concrete needs! Call us for a free estimate at 306-290-6656. Did a fantastic job on our driveway. They listened to exactly what we wanted and provided suggestions to improve the project. Fanatastic finish quality.